We have been in our house for 5 years now. Somewhere around year two I promised myself I would have hardwoods in my house by year five. In came year five and still no hardwood floors. Talking it over with boo we decided to make investments in other areas of the houses, new A/C unit, updated mattresses and a new closet, so that placed hardwood floors on the back burner. One way to distract from carpet is to use bold colors. Painting the walls a bold color will bring the eyes off the carpet and onto the walls. You can also play with boldly colored accents too. In my dining room, I opted for black paint on the walls. The black walls takes the eyes off of the carpet! Area rugs are your best friend if you have carpet. The larger the best, is my opinion. They do a great job of covering up the carpet and also adding some color to your space. In my dining room, I opt-ed out of a rug and used the next tip instead. Sometime coping with carpet is as simple as just accepting it. In my dining room, I choose to just accept it. I've been leaning more toward minimizing some of my decor, so accepting the carpet came more natural than adding a rug. Cleaning your carper regularly is a must...and I don't mean just vacuuming. Investing in a great at home carpet cleaner will be crucial. We have an awesome carpet cleaner that we use every 3 months or so. Deep cleaning your carpet often will keep it looking fresh and clean. There's something about a freshly cleaned carpet that is refreshing and makes having carpet not too bad. What are some ways that you have coped with having carpet? Do tell! Your refresh looks great Alaya! 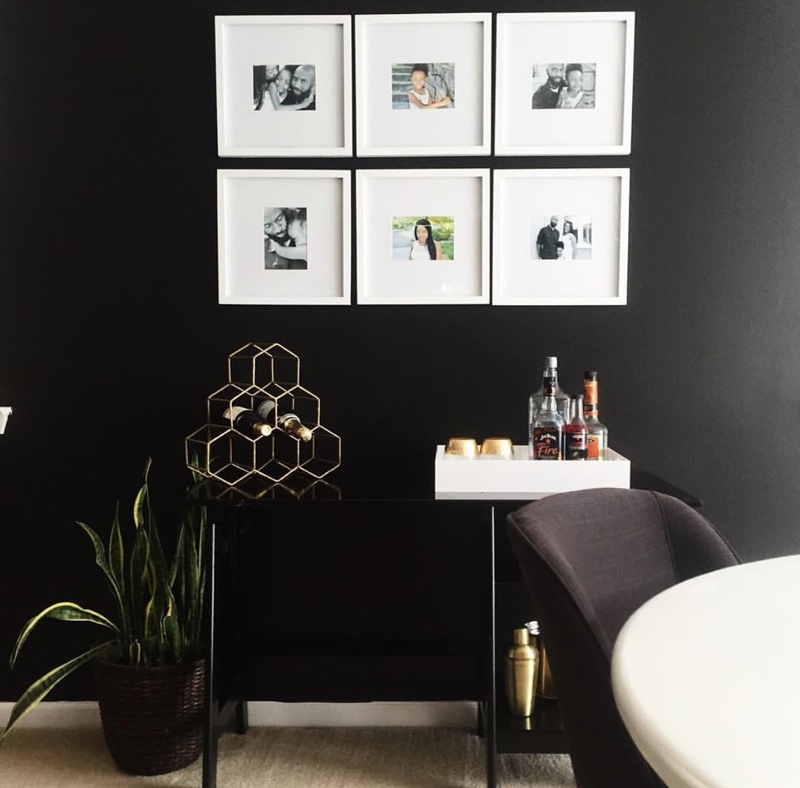 Love how you incorporated the black walls. great job. This is really lovely. I just love these pictures. Thanks for sharing this post.